The Kremlin has said a communications glitch which sparked controversy following British Prime Minister David Cameron’s visit to Russia was due to an interpreter’s error. Excitement broke out among some journalists and bloggers over the absence of a key statement by Cameron from a transcript of a joint media conference which appeared on the Kremlin’s website. 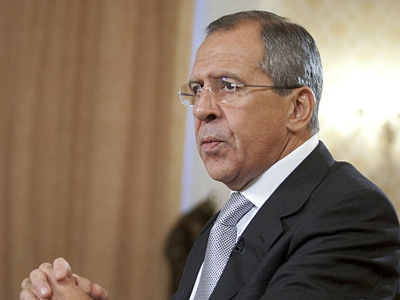 The missing statement concerned the need for Russia and Georgia to fulfill the ceasefire agreement reached following the August 2008 conflict. On Tuesday, the BBC's Russian service reported that the Russian translation of the speech, which was posted on the Kremlin website, lacked the British Premier’s statement. Nevertheless, the phrase is present on the English version of the Russian President’s website as well as on the Downing Street’s web-page. 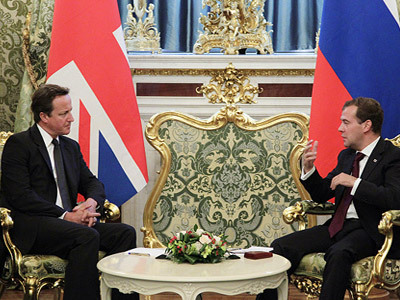 The Kremlin argued that since the Russian translation was made by Cameron’s official simultaneous interpreter, the Russian side was not to blame for the missing sentence. The Kremlin underlined that there is no hidden agenda behind the missing sentence. Meanwhile, the transcript published on the British Prime Minister’s official webpage lacks (at least at the moment) some important statements made by David Cameron. For instance, he began his speech expressing his condolences over the deadly plane crash that killed over 40 people, including the entire Lokomotiv Yaroslavl ice-hockey team last Wednesday. “First of all, I want to express my condolences to the families of those killed in the plane crash in Yaroslavl,” Cameron said, as cited on the Kremlin website. 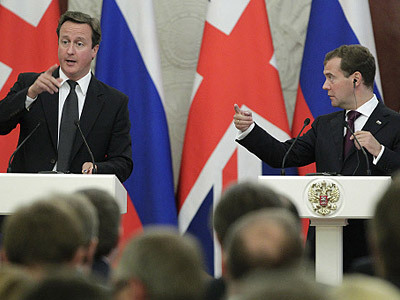 In addition, the Downing Street website omitted President Medvedev’s answer to a question from a British journalist. 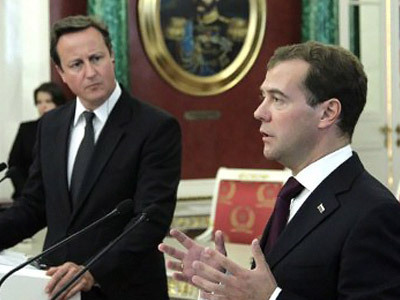 The reporter noted that Cameron had earlier suggested that the KGB tried to recruit him on a visit to the USSR in 1985 and wondered if Medvedev thought Cameron would have made a good KGB agent. 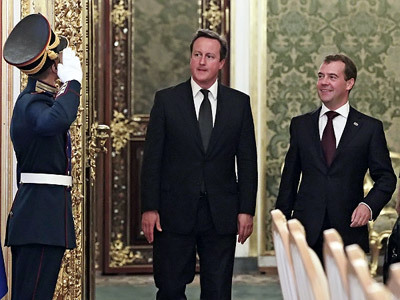 “I am sure that David would have made a very good KGB agent, but then he would never have become prime minister of Britain,” Medvedev answered, as posted both on the English version of the Kremlin website and in Russian translation.